Do you like huge adventures that take you all over the globe? What about having them with your favourite LEGO® heroes? Oh, and lastly – do you like reading? 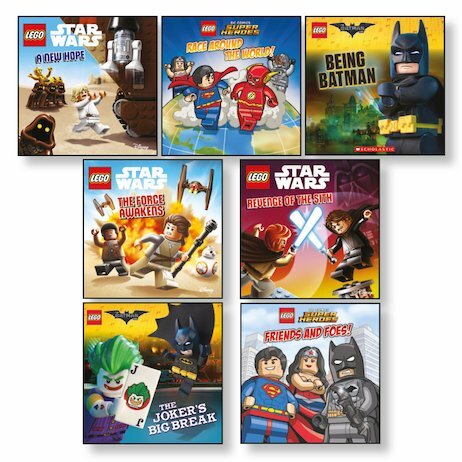 Well, even if you don’t like reading, these LEGO® picture books will change your mind! Seriously: they’re full of giggles, battles and action, all shown in massive cartoon pictures. You’re going to LOVE them. Batman says so. Superman says so. Hey, even Darth Vader says so – and nobody argues with Vader!